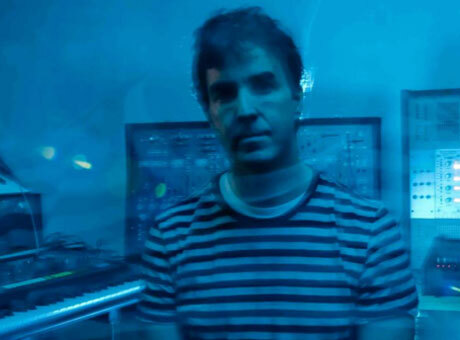 Phil Western is a veteran of Vancouver's electronic music scene, having played in projects like Download, Kone and PlatEAU, as well as contributing keyboards to Skinny Puppy. Sadly, he is now fighting for his life after being hospitalized with a serious blood infection. In a statement written earlier this month, Western explained that he will be in hospital for a few weeks with a blood infection that moved into his bone. His condition apparently has a 20 to 30 percent mortality rate, which he described as "not the worst, not the best odds." I will be confined to a hospital bed for the next 4 – 6 weeks. During this time I will be unable to work on or release any new material. I will also be unable to earn any income whatsoever. If you ever were on the fence about grabbing something off of my band camp page, now, or sometime over the next month, would be an awesome time to do that as I will be scraping the barrel for a while here. I could really use the support. The short version of the story is: blood infection, which has moved into the bone. I am not allowed to leave the hospital, will be permanently hooked up to IV, am dealing with something that has a 20-30 percent mortality rate (not the worst, not the best odds). To help raise funds for the ailing producer, the label Bottle Imp is assembling a benefit compilation. Artists are encouraged to submit music and art for the compilation before January 19. The results will be released on Bandcamp and likely CD, with 100 percent of earnings going to Western. Learn about the campaign here. Western had been playing shows until recently and performed last month at More Than Human's Winter Ritual event in Vancouver.